On the ocassion of sad martyrdom of Imam Mousa-Ibn-Jafar (a.s) there was a Mourning ceremony by attendance of mournful people. In this ceremony the Panegyrists of Ah-Ul-Bait, Khalili and Khod’dami recite their poems to commemorate his disasters, innocence and lonely starnger. 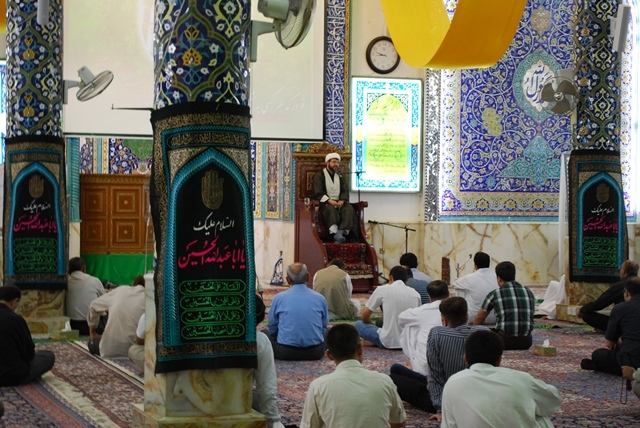 The Mourning continued by speech of Hojat-Ul-Islam Moslemi and at the end the mournful attendants served dinner hosted by Imam Hussein (a.s) Mosque.